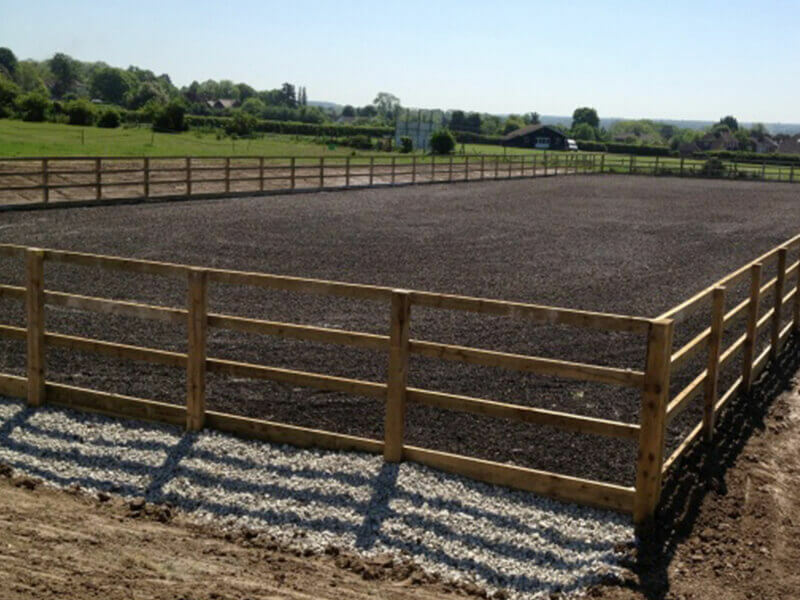 EcoGrid is used in a wide variety of equestrian applications to provide mud management, grass reinforcement and free draining solutions. 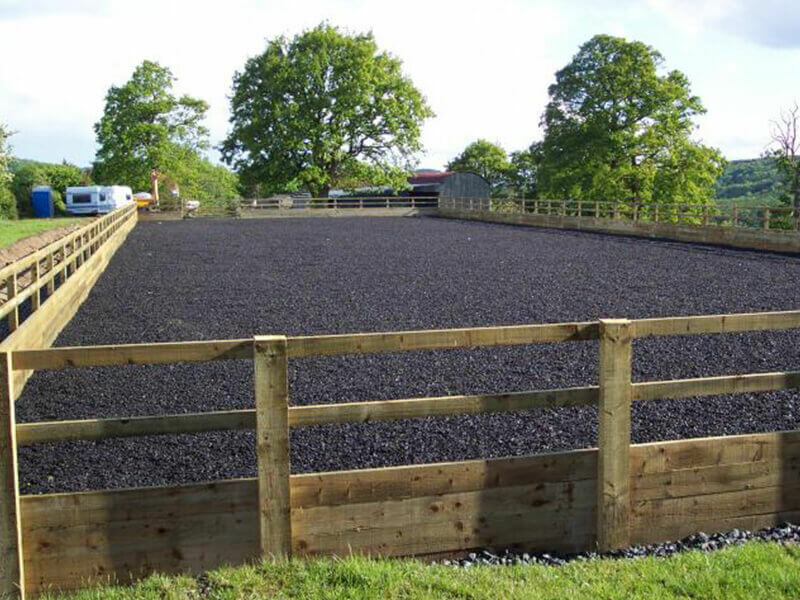 It provides a complete riding surface for every discipline, specially designed to suit your needs and local conditions, consisting of the ground stabilising system EcoGrid and Equestrian tread layer. 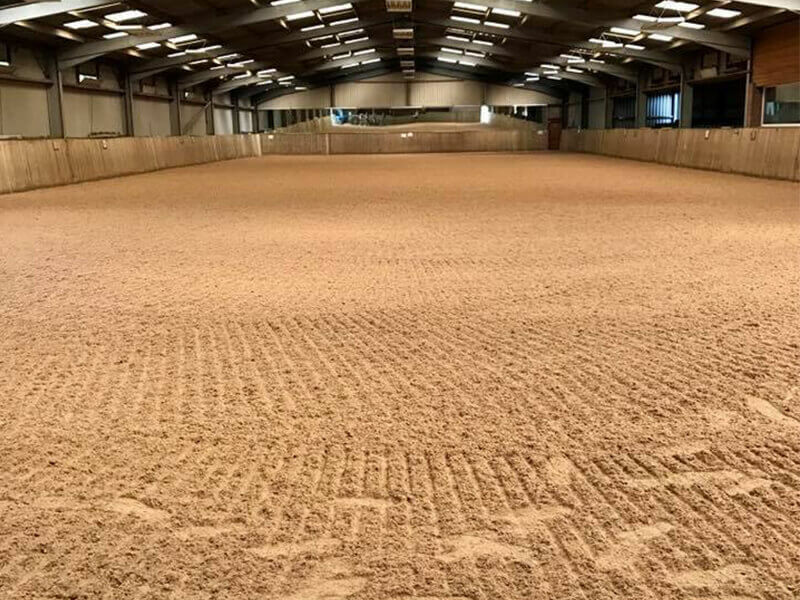 The Cushion Track Premier has a higher waxed content than other surfaces offered, resulting in a firmer feel for horse and rider as the horses will be riding on top of the surface. Due to its synthetic nature its virtually indestructible, the makeup is a unique blend of environmentally approves synthetic fibres with a multi washed silica sand. The high-performance waxed coating can be manufactured to suit all climatic tolerances resulting in reduced maintenance requirements. 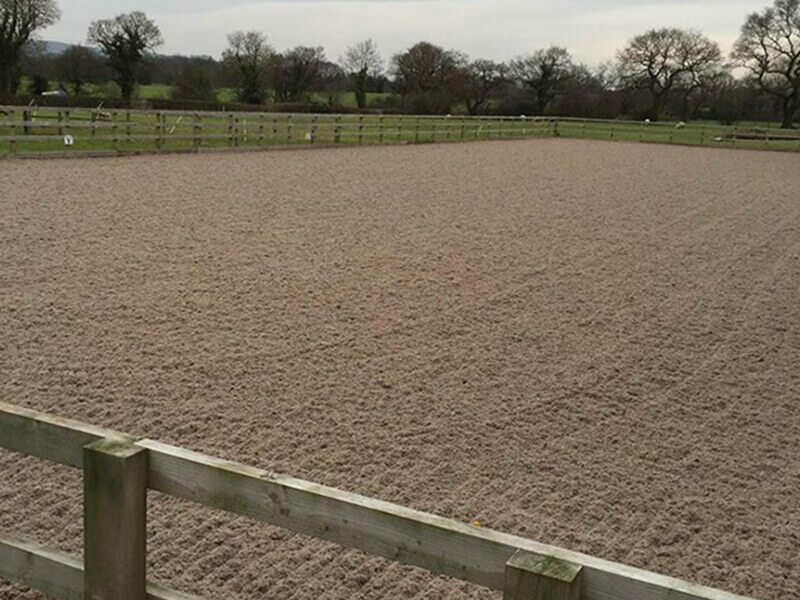 The Cushion Track Classic is a unique blend of multi-washed silica sand, Equestrian’s purpose manufactured stabilising fibres and a high-performance wax. 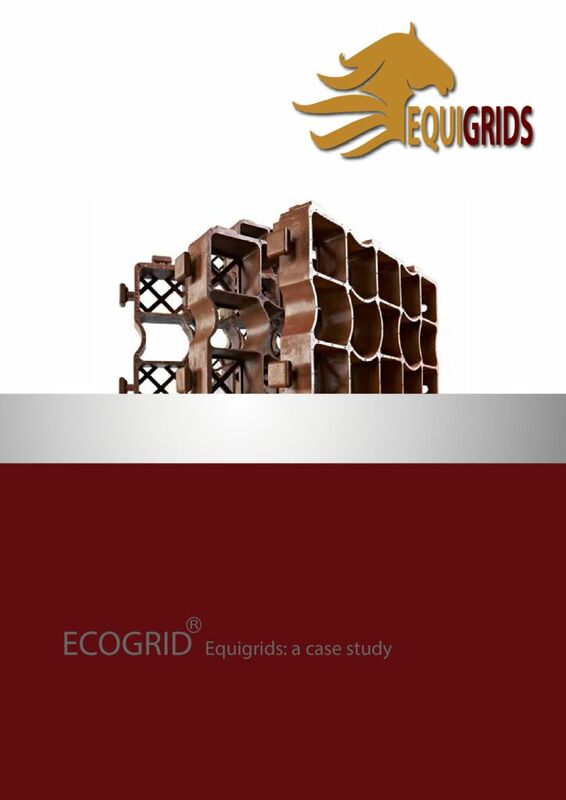 Resulting in the ideal surface for all disciplines and all usages. 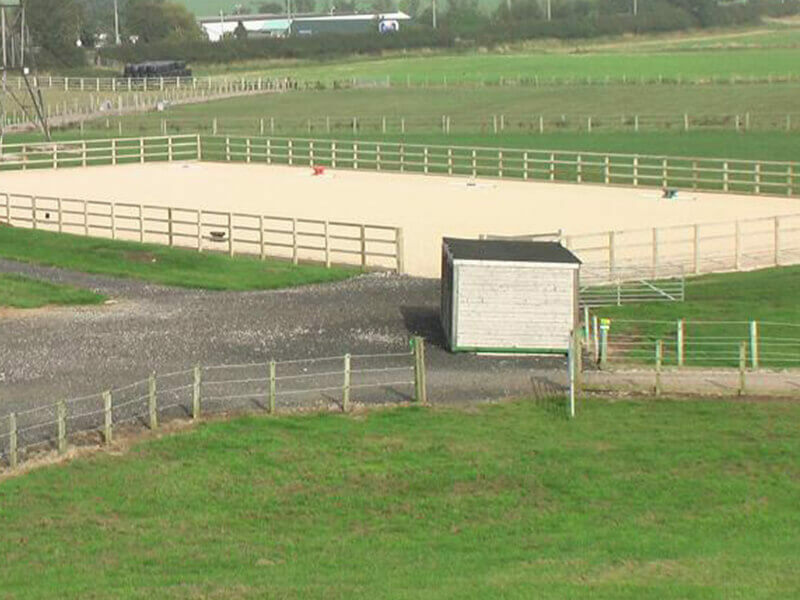 Whether this be a competition centre, professional yard or private facility, Cushion Track Classic surface can manage with all demands. 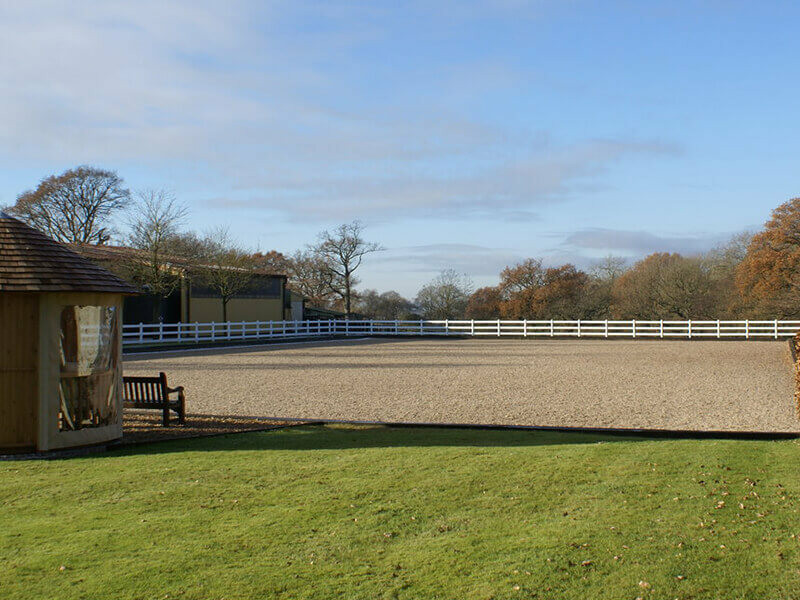 This Soundtrack surface features environmentally approved stabilising fibre, along with a multi washed silica sand blend with a high-performance wax, offering the ultimate comfort. 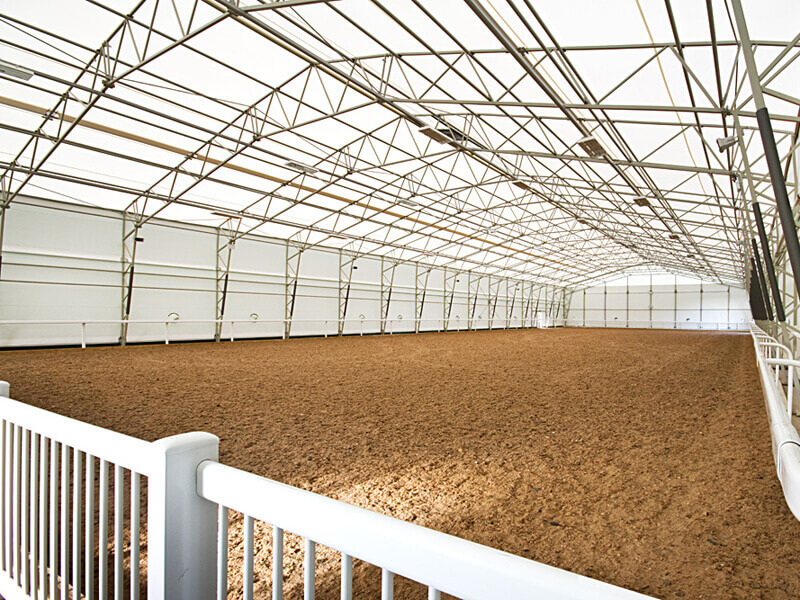 Boasting frost proof and minimal maintenance required to keep within its premium condition. 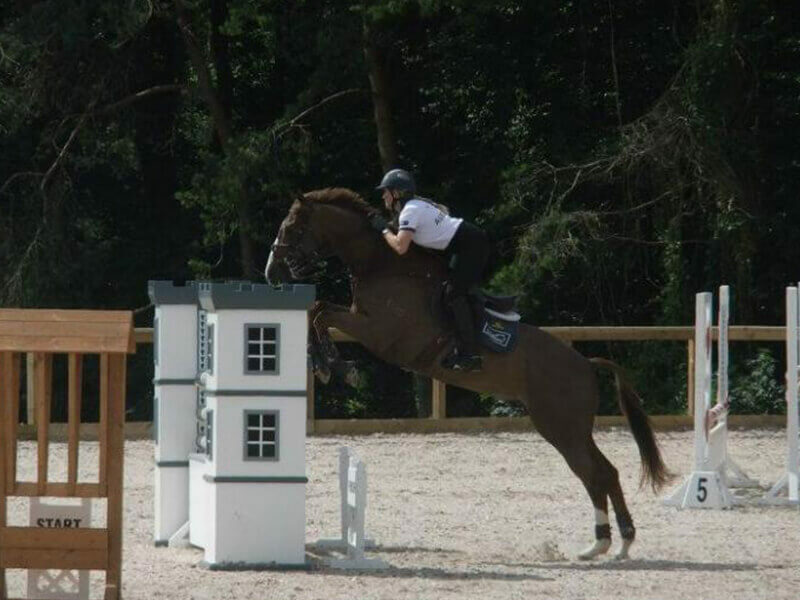 Equestrian’s Soundtrack surface has become renowned for promoting healthiness in horses and preventing lower limb injuries, especially to dressage horses. 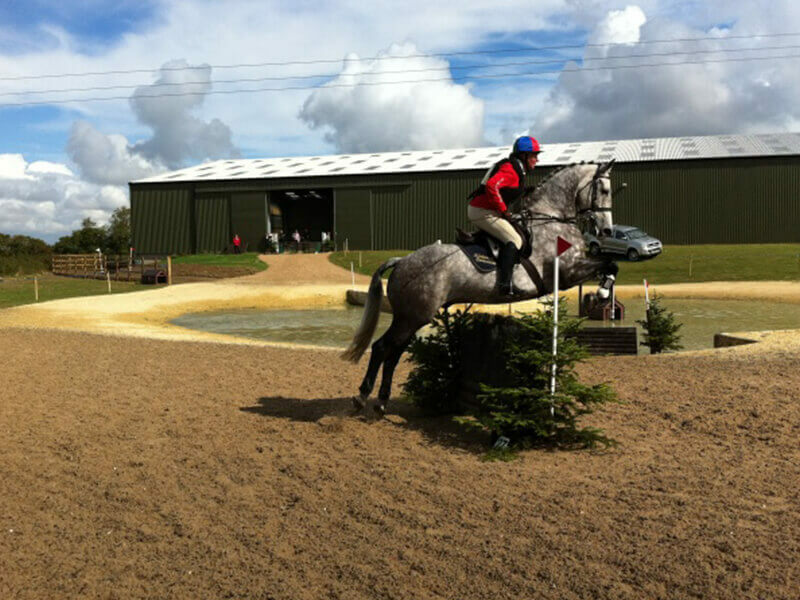 Waxtrack has the lowest wax content of all Equestrian’s waxed based surfaces but still obtains all the benefits of a waxed surface. 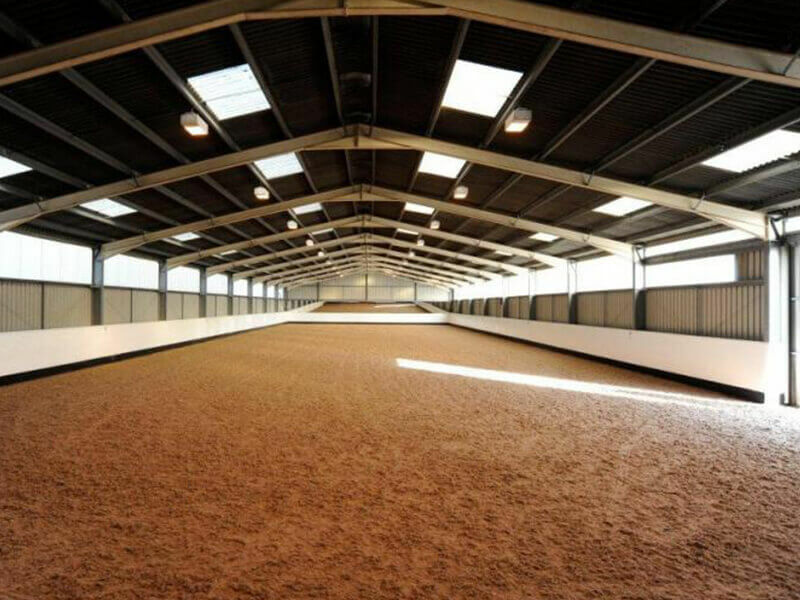 This surface improves impact absorption and provides a high-performance cushioned surface suitable for all disciplines, also being a low maintenance and cost-effective waxed surface. 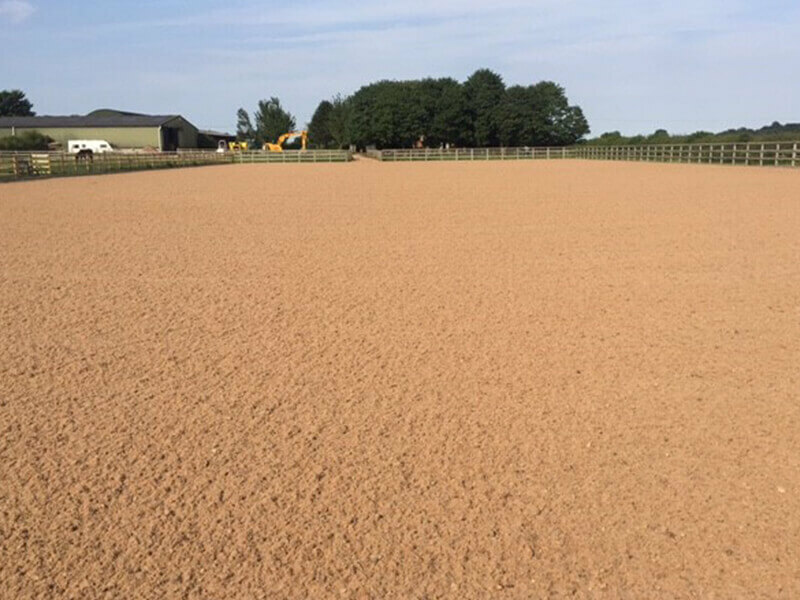 Economy Track was designed for the advantages of a pre-mixed surface at an economical price, being one of Equestrian’s first fully synthetic surfaces as the stabilising fibres maximise the life span of the surface and create a quality surface sympathetic with both horse and rider. 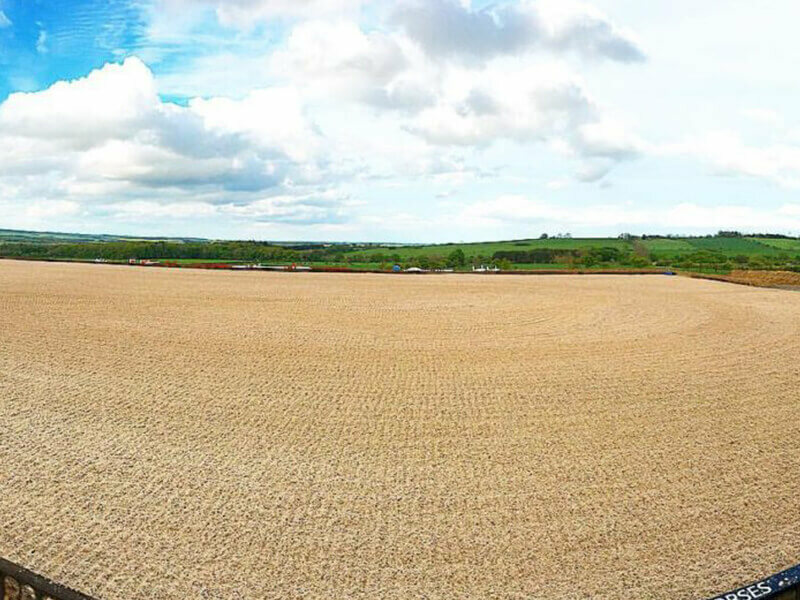 This surface is made up from environmentally approved stabilising fibre with a multi washed silica sand, requiring irrigation in prolonged dry periods. 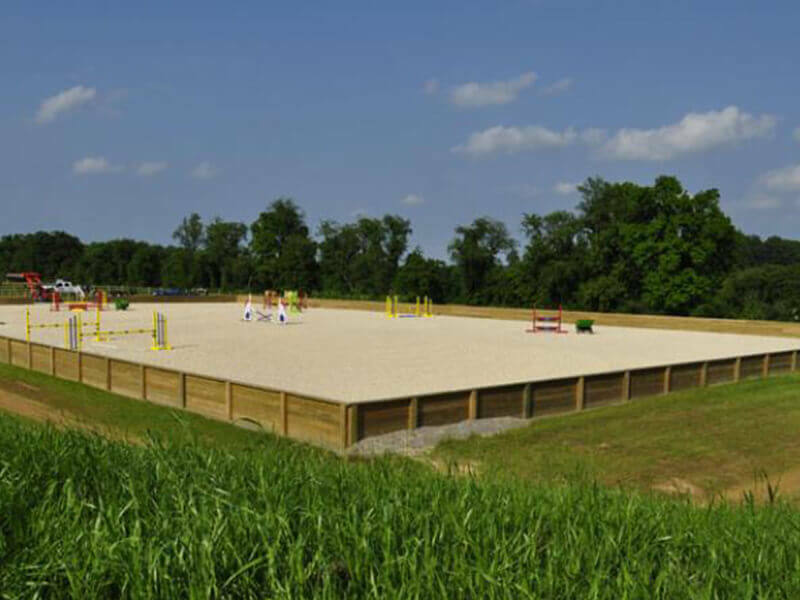 Equestrian Surfaces only use the best quality multi washed silica sand, using only the finest quality sub angular silica sand allows for heavy compaction and good drainage. 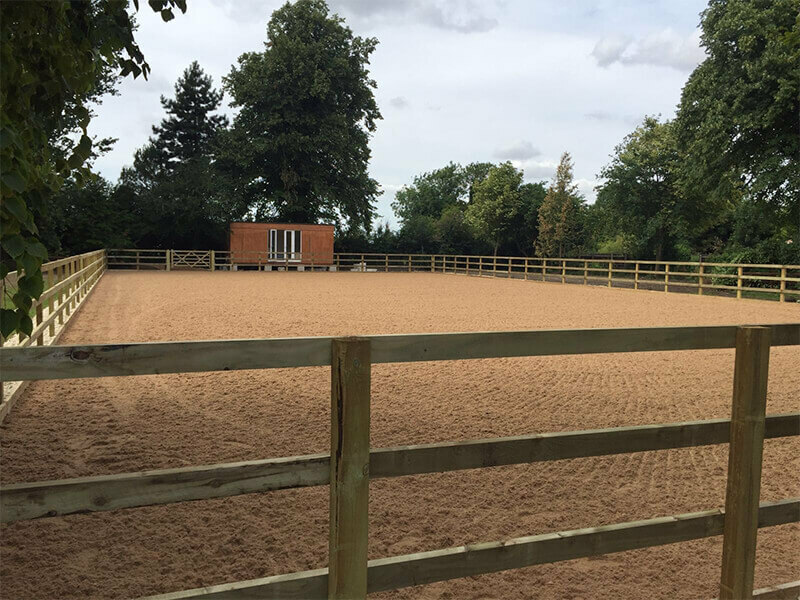 Stabilising fibre will effectively improve the performance of any arena whether this is incorporating some life to an existing surface or to add to a deep riding sand school, Equestrian’s stabilising fibre should be the product of choice. 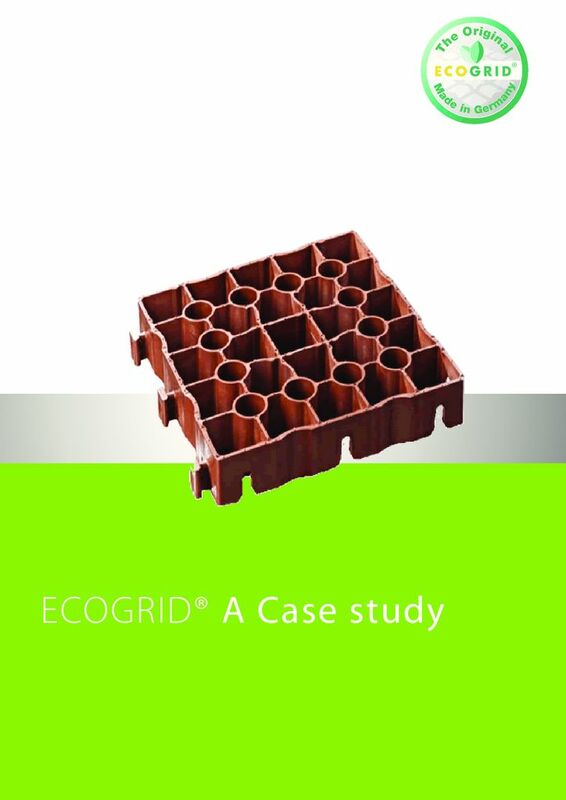 The fibre is purely synthetic in origin resulting to an enhancement over the products life expectancy, with being environmentally certified in rigorous testing the surface will not break down or degrade over time. 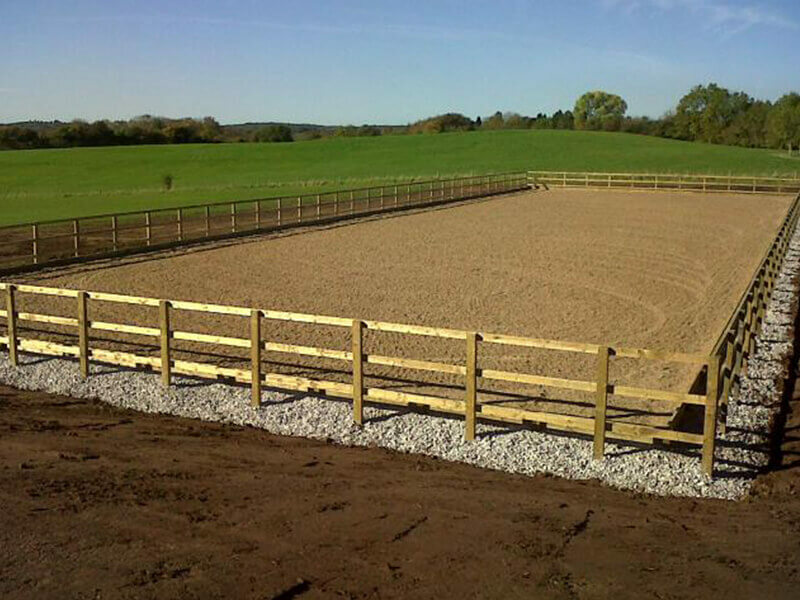 Economy Stabilising Fibre components are purpose manufactured and selected for the desired properties required for an Equestrian riding surface. 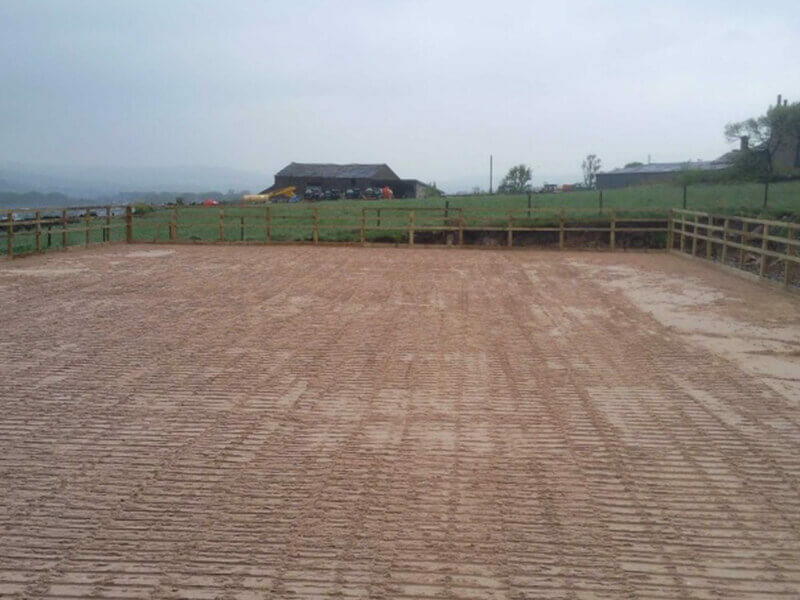 This can be easily incorporated and improve the stability of new or existing sand as it rides on top of surfaces. 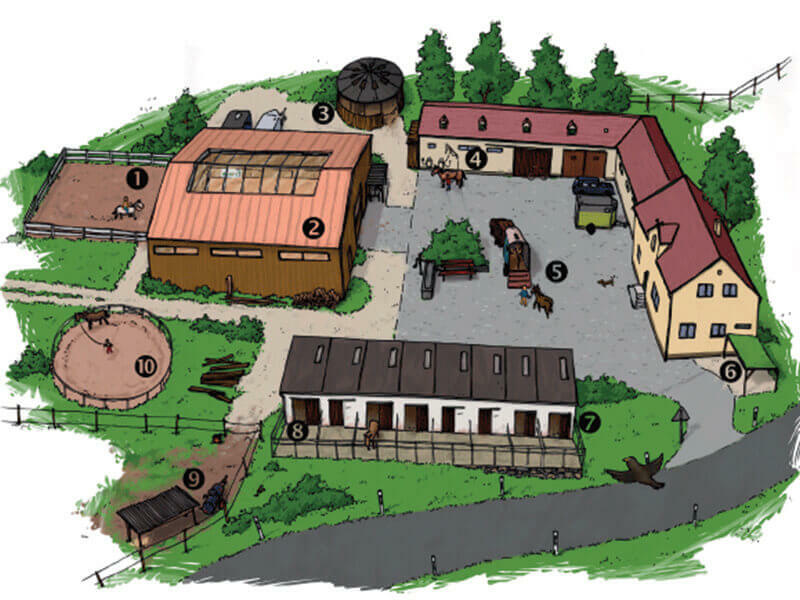 Adding moisture retention thus creating a greater consistency in varying weather conditions and minimises effect of frost. Both cost effective and environmentally friendly. 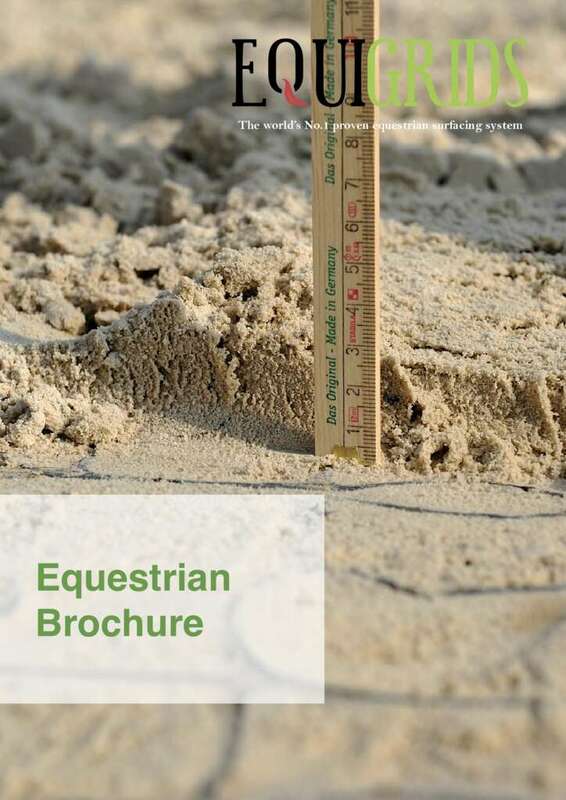 Premier Stabilising Fibre provides lateral and vertical binding to achieve optimum consistency and cushioning, dramatically enhance the performance of any sand surface. 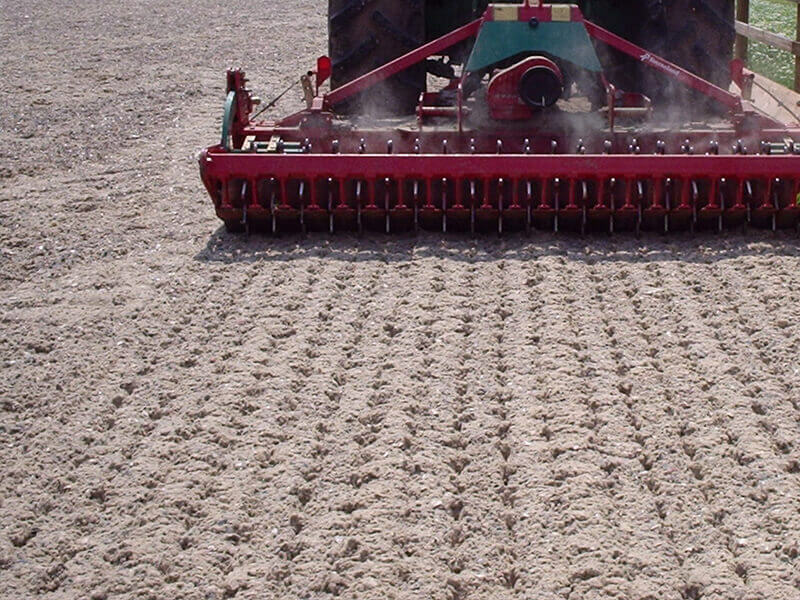 Rides on top of surface thus can be easily incorporated and improve the stability of new or existing sand. 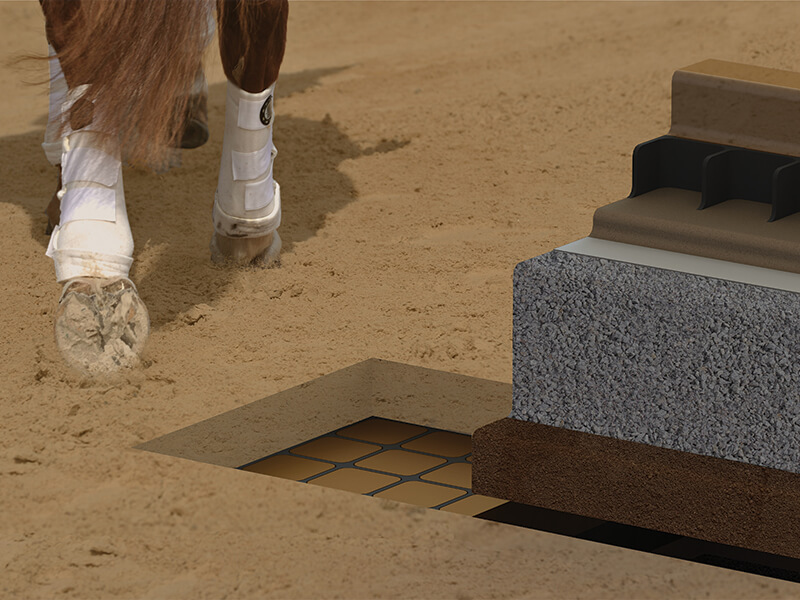 Giving stability and elasticity to existing sand surfaces allowing significant impact absorption and improves return of surface through, “track memory”. 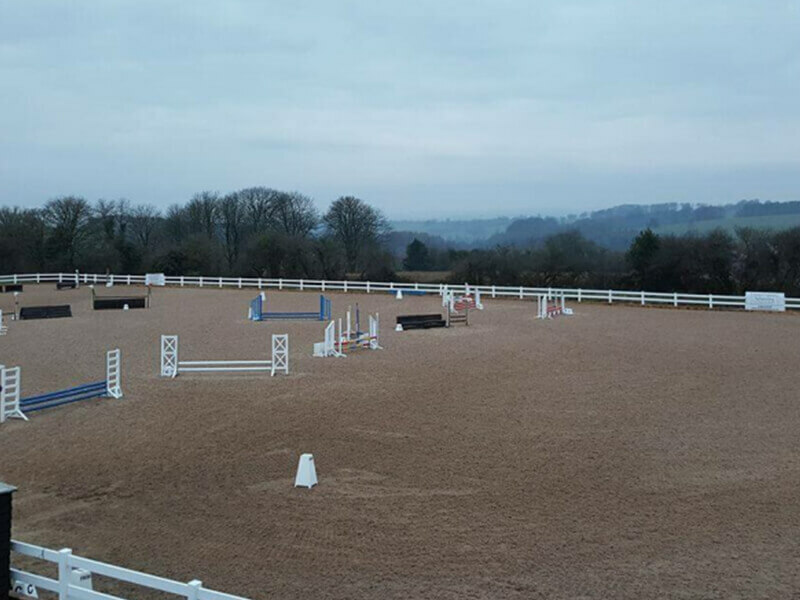 As rubber will always sit on top of the surface it has no binding properties, which allows for a fibre additive to be added to existing rubber arenas and you’ll still get all the benefits from the original rubber surface, plus an additional frost resistant layer.